A man was taken in for questioning on Wednesday in connection with the Westbury shooting in which a three-year-old boy was critically wounded, Gauteng police said. “The 28-year-old man was a complainant in the case and further investigations led us to take him for questioning,” Warrant Officer Gordon Billing said. Billing could not provide further information on the man. On Tuesday, Lindray Khakhu, 24, appeared in the Newlands Magistrate’s Court and the matter was postponed to August 12. He would remain in custody. 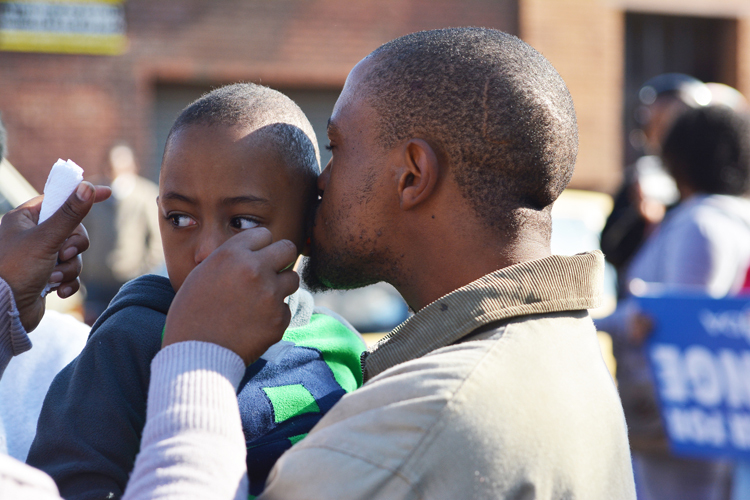 Khakhu was arrested for allegedly shooting and wounding three-year-old Luke Tibbetts. The case was handed over to the provincial police. “The provincial police have taken over the case because there are a lot of conflicting stories from residents,” said Billing. Residents had been providing police with different stories and more information was outstanding. Lt-Col Lungelo Dlamini said he was not aware that the case was being handled by provincial police, but they were likely to be involved. The boy was critically wounded when he was shot, along with a 26-year-old man on Saturday evening. The two were travelling in the area in different vehicles when they were hit by stray bullets. They were taken to nearby hospitals. The man was shot in his right arm and was treated and discharged. Billing said the boy was still in a critical condition when he last saw him on Tuesday night. Police were no longer allowed in the ward where the boy was because there were other patients. The firearm used in the incident had not been recovered.